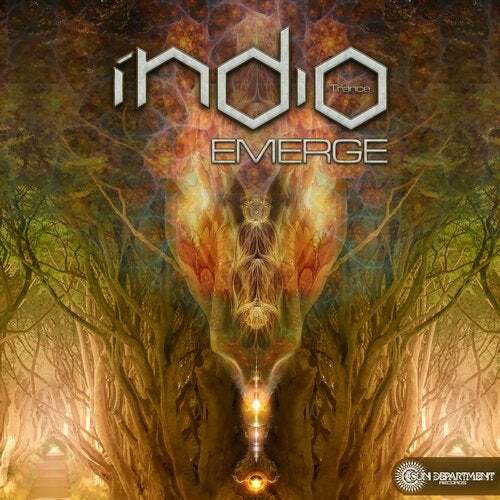 With enthusiasm Sun Department Records present the new 2-track EP of Indio called "Emerge". In philosophy, systems theory, science, and art, emerge or emergence is a phenomenon whereby larger entities arise through interactions among smaller or simpler entities such that the larger entities exhibit properties the smaller/simpler entities do not exhibit. Emergence plays a central role in theories of integrative levels and of complex systems. For instance, the phenomenon of life as studied in biology is an emergent property of chemistry, and psychological phenomena emerge from the neurobiological phenomena of living things. Behind the project "Indio" stands Julio Gomes Pena. This young, talented producer and live act from Sao Paulo - Brazil, comes with his own unique style of progressive psytrance music. His tracks move around at 138 bpm and have the main characteristic of a sound with powerful basslines, psychedelic synths with epic melodies and a little bit of jungle & ethnic atmospheres. We are sure that we will be able to expect even more brilliant releases like this in the future from this 19 year old guy!